With its roots firmly immersed in Google (the owner of the online universe). We are one of South Africa’s highly skilled and most successful SEO agency, who offers a unique range of World Class digital marketing services. Our strategies, methodologies and philosophies are uncomplicated, non-traditional, and are approached in a targeted manner. Online Marketing is where our specialty lays – more specifically SEO, PPC and Lead Generation. We have over 15 years solid knowledge and experience and are currently seen as pioneers in the online marketing industry. Our holistic approach encompasses analysing the various personas and user behavior on various search engines who engage using different devices, while attracting them to your website in efforts to convert these users into customers. 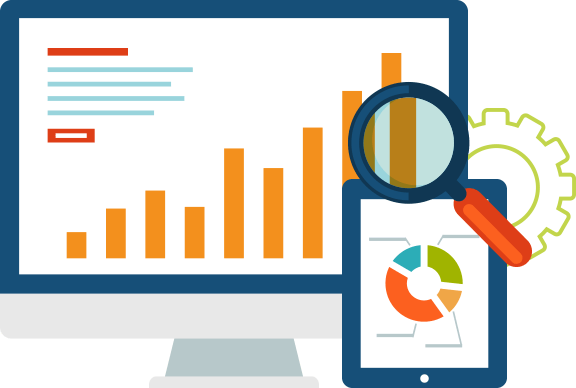 Analysis is the foundation of our SEO where we understand what keyword phrases are used on search engines as well as the search volumes and optimize accordingly. Our campaign strategies provide up-to-date Pay Per Click services ie:, Paid Search Ads, Video Advertising, Display Ads, PPC Remarketing and Social Advertising. Conversion Rate Optimisation (CRO) is a set of tools / system aimed at increasing the percentage of visitors to a website that convert into actual customers. Special tools used to analyse the behavior of visitors to a website which enables your business to attract more visitors, retain or attract new customers. Have 15 years of solid SEO knowledge and experience (nobody else is SA has more experience and knowledge than us). Have a dedicated team with a solid understanding of tracking and analyzing the user behaviors and monitoring the user’s propensity to convert. We love what we do and do it more for passion and fun. Our online marketing work speaks for itself. We deliver a personal, passionate & tailored service to each and every one of our clients, big or small. Profiled in Financial Mail as their preferred Online Marketing Agency. We have been voted as one of the best SEO Agencies in SA, and was asked to feature on a TV show broadcast on DSTV called the ‘Flip Side of the Coin’. This show demystifies difficult topics that consumers face, and the episode we featured on was about SEO and online marketing. View our TV debut / interview with our MD who educated South Africans on topics such as online marketing and SEO.